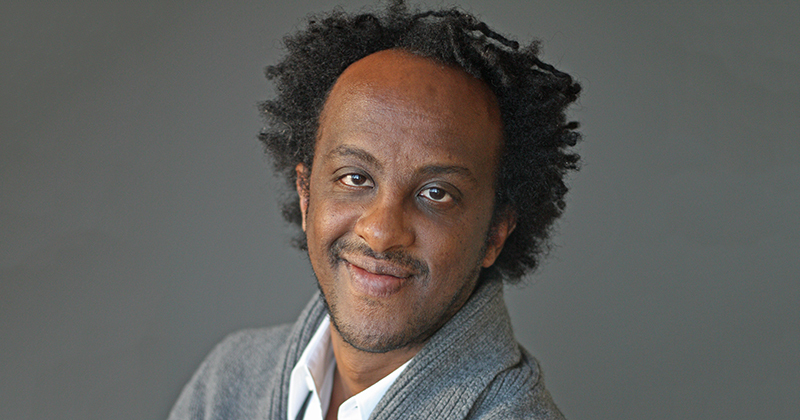 Dinaw Mengestu among New York Times 32 black male writers. Dinaw Mengestu has been listed amongst the 32 black male writers of our time on the New York Times. The last decade has seen a burgeoning multiplicity in America’s literature, with gifted black men writing novels, poems and plays of great import. The New York Times’ Ayana Mathis has collated some of the most influential black male writers in the United States today featuring poets, playwrights, and novelists. On that list is Ethiopian born Dinaw Mengestu the author of All Our Names (2014), How To Read Air (2010), Children of the Revolution (2007), and The Beautiful Things That Heaven Bears (2007). The author has had his novel All Our Names featured as a New York Times notable book for 2014. He is also the winner of the MacArthur Genius Grant. He is listed alongside many of the greats including Yusef Komunyakaa who was here in Nairobi for the Storymoja Festival at one point. Please click here to check out the whole list of awesome black men writers featured. Previous Previous post: Leila Aboulela is Scottish Saltire Literary Prize 2018 winner. Next Next post: Sanaa Theatre Awards 2018 winners announced in Nairobi.